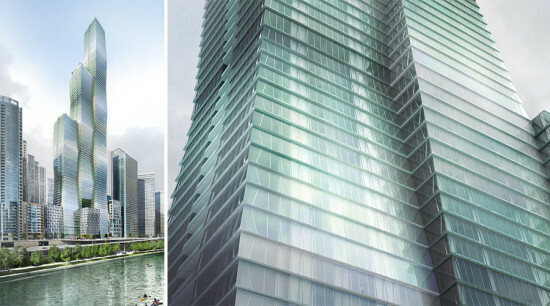 Chicago is getting closer to having a new piece of offshore architecture. Breakwater Chicago is the football-field-sized floating pleasure island designed by Chicago-based Space Architects + Planners for Lake Michigan. With the original capital coming from a successful Kickstarter campaign in 2014, the project is currently being reviewed by the U.S. Coast Guard for approval to move forward. The project takes its name from, and will be located within, the Chicago Harbor breakwater, a 5,321-foot-long structure surrounding the downtown. Renderings show the Breakwater located specifically in the area of the harbor locally known as the Playpen. The area is filled with pleasure boats throughout the few months weather permits. The promise of the Breakwater is that it will make this area more accessible, as currently it is almost exclusively large yachts enjoying the calm water. Breakwater president and co-founder Beau D’Arcy said he wants the project to cater to families as well as those looking to party out on the water. 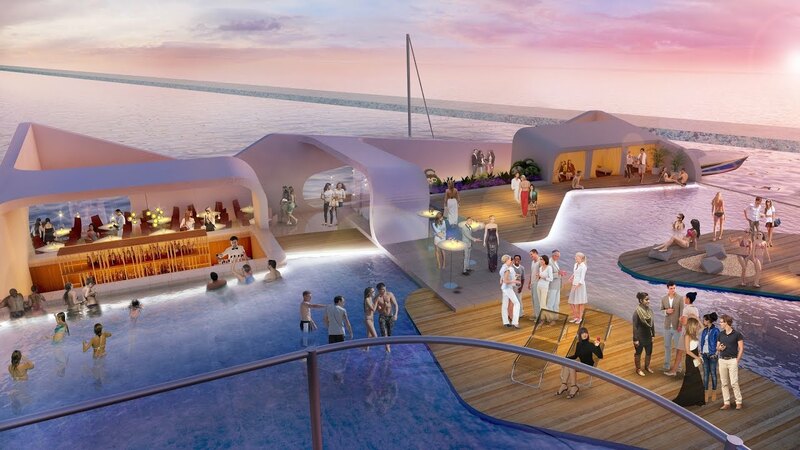 The Breakwater will include pools, three restaurants, and docks for pulling up in a boat. Those that do not have their own boat will be able to take a water taxi service out to the floating attraction. “We wanted it to look like something rising out of the water. Something rather than a boat or a barge that is placed on the water. Almost like an island or an oasis in a desert,” said Jay Keller of SPACE Architects + Planners about the design. The proposal also includes a multi-part sustainability plan in an attempt to be “truly [in] harmony with its environment.” The hull of the craft will include an underwater garden to help absorb potentially dangerous nutrients from the water, a common problem in the Great Lakes caused by runoff. The Breakwater is also planning to use renewable energy sources including photovoltaics, solar water heating, aqua thermal cooling, and potentially even kinetic wave power. And despite not being a building, the project will also follow LEED. standards when at all possible. While no expected launch dates have been announced, a new video gives the most complete look at the proposal so far. You can learn more about Breakwater Chicago on its website. The Chicago Architecture Club (CAC) has just announced the winners of the 2016 Chicago Prize. This year’s competition, entitled "On the Edge," asked entrants to envision the future of Chicago’s Lakefront. Along with the winners, a group of shortlisted submissions will go on display at the Chicago Architecture Foundation. 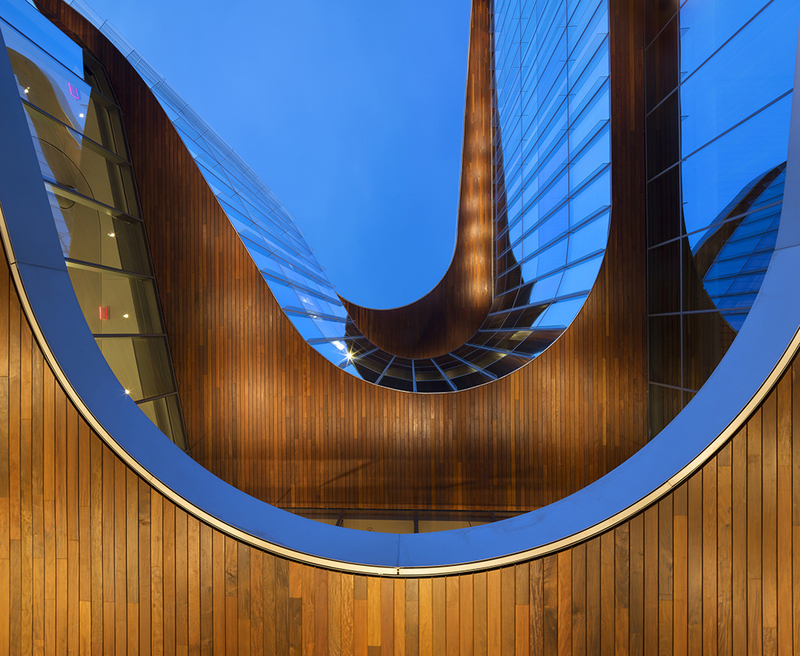 The top prize went to the Kwong Von Glinow Design Office for its entry Grand Lattices. 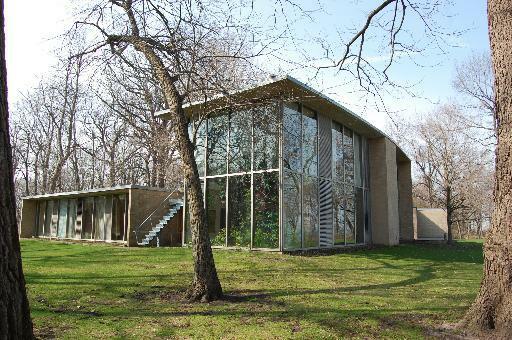 The proposal calls for a series of steel-frame structures in the median of Lake Shore Drive. 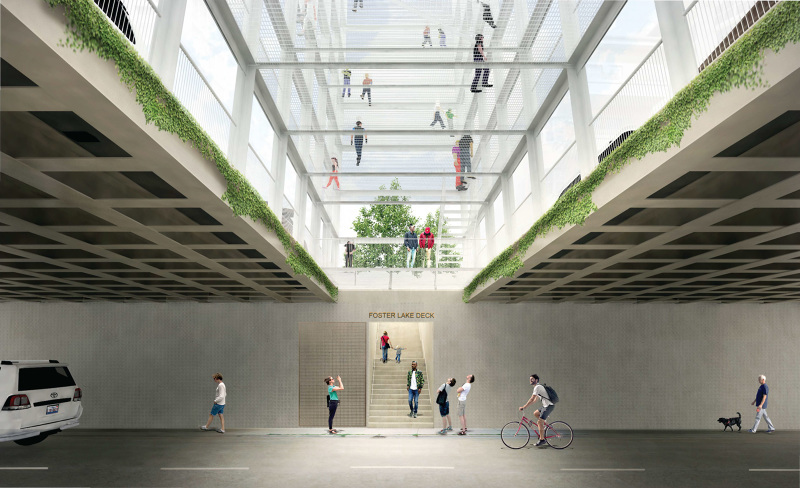 The structures are integrated into the current tunnels that connect the city to the lakefront under the road, enticing pedestrians to stop and climb into a space that is normally relegated completely to automobiles. Aerial Greenway by Tulio Polisi and Michael Graceffa, which received an Honorable Mention, proposes to connect some of the city’s most popular pedestrian areas to the lakefront through a system of winding elevated footbridges. The project extends the Chicago Riverwalk and Upper Wacker Drive over Lake Shore Drive to the Lakefront Trail. Another Honorable Mention by Loren Johnson is entitled Open Source (OS) Edge Network. Perhaps the most dramatic of the three, the Edge Network pushes Lake Shore Drive out into Lake Michigan and fills the space between the road and land with a grid of vertical piers. The piers come in multiple forms, including one to capture kinetic energy, one that provides habitat for wildlife, and a third type that is dedicated to recreation. 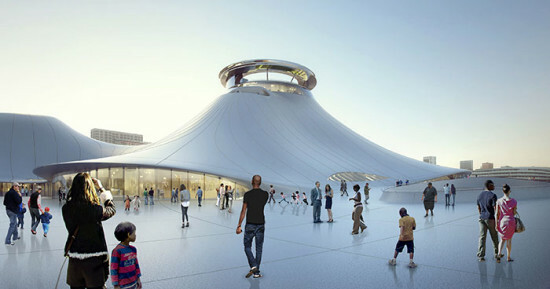 Just two weeks after the city of Chicago gave the go ahead for the Lucas Museum of Narrative Art to procure a 99 year lease on the Chicago Lakefront from the Chicago Park District, a federal court has indicated that it will not give a decision until February regarding a case brought by Friends of the Parks against the City. In a hearing to determine whether the Friends of the Park would be allowed to pursue their lawsuit, Federal Judge John W. Darrah, has given the park watchdog group until December 3th to address the cities motion to dismiss the case. 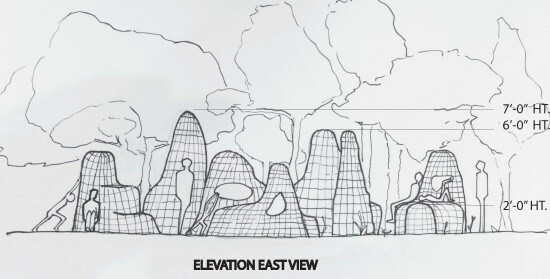 If Judge Darrah allows the lawsuit to go forward, it will only be the beginning of what may become a protracted legal battle over the MAD Designed museum. 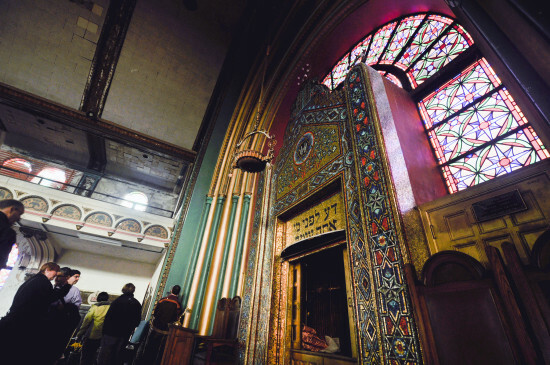 Until this decision, construction was planned to begin as early as spring of 2016. 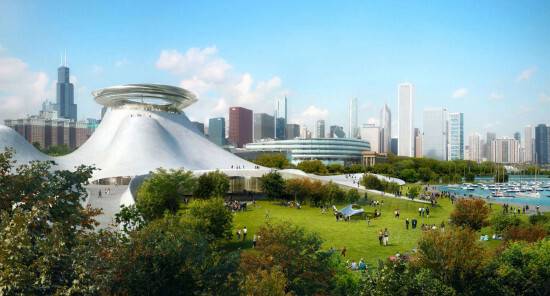 Friends of the Parks claim the Chicago Park District does not have the right to lease lakefront land to the Lucas Museum based Illinois’ public trust doctrine. That doctrine states, though vaguely, that land along Lake Michigan must be protected for public use. This has often been interpreted that no private business, or in some cases any construction, should happen along the lakefront. Winter ice is melting around the Great Lakes, revealing cerulean waters below—and, in northern Lake Michigan, an open graveyard of shipwrecks. 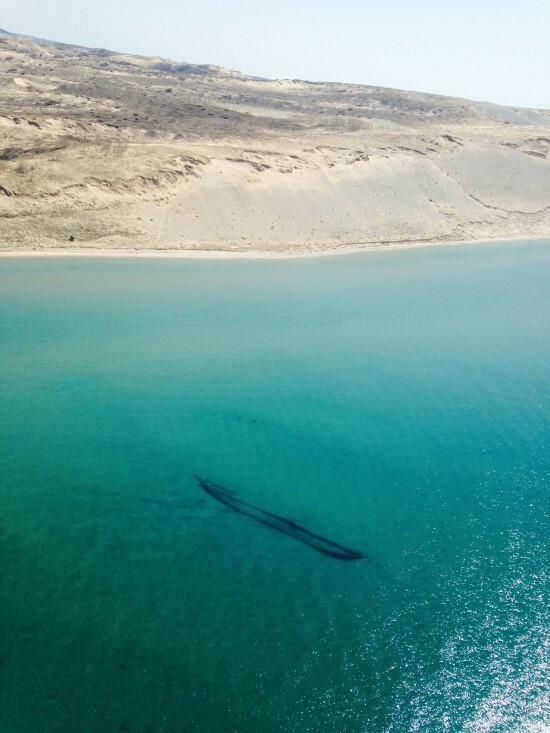 Lake Michigan's Manitou Passage is a popular diving destination for shipwreck-seekers, but this year the Spring weather has conspired to produce an unusually plain view of the sunken ships. The U.S. Coast Guard Air Station of Traverse City, Michigan said last week in a Facebook post that an air crew first glimpsed the exposed wrecks during a routine patrol of the northern Michigan coastline. Though still a chilly 38.8 degrees Fahrenheit, the water will soon warm, welcoming recreational swimmers, divers, boaters and an influx of nutrient runoff from towns and farms in the watershed. That will usher in algal blooms and again obscure the wrecks currently visible through the crystal clear water.